It’s damn hard finding the perfect high-quality photo that’s FREE to download. 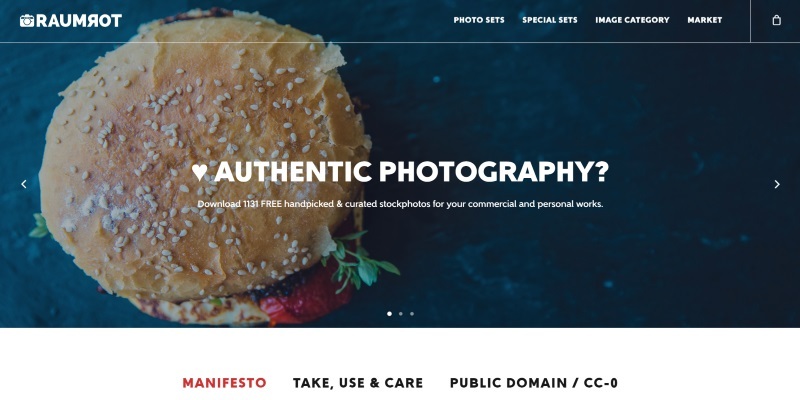 Below is the complete list of 56 free photo websites for you to download high-quality photos, at no cost, and do with them as you want. The list is updated frequently. Unless specified in the summary below, photos are free of copyright restrictions which mean you can download them and use them for commercial or personal purposes, without attribution. Photos available to download from free photo websites are released under various types of Creative Commons licenses that may or may not require attribution. The most common is a CC0 Creative Commons license which means you can copy, modify, distribute and use the free downloaded photo for commercial or personal purposes, without asking for permission or giving attribution. I’ve listed the sites in my order of preference. Obviously, high-resolution photos are foremost, as is diversity and range of images. Having a search function on the site is important, as are well-tagged photos. I hope you get tremendous value from this article in finding that magic photo to compliment your work. 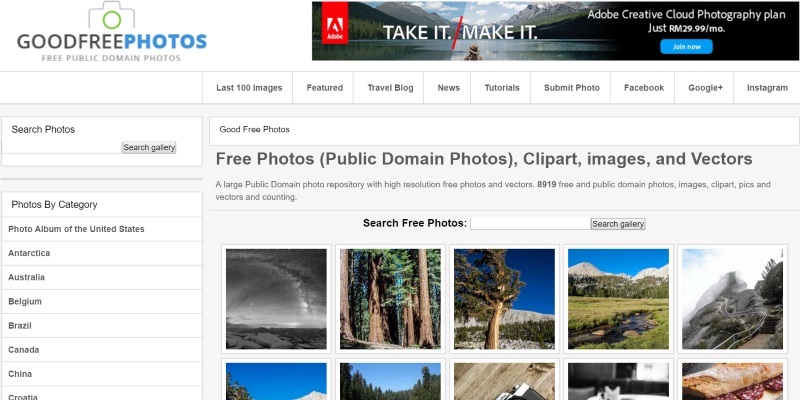 One of my favorite sites for high-resolution copyright-free photos. There are no copyright restrictions on photos and they can be used for any purpose without attribution. 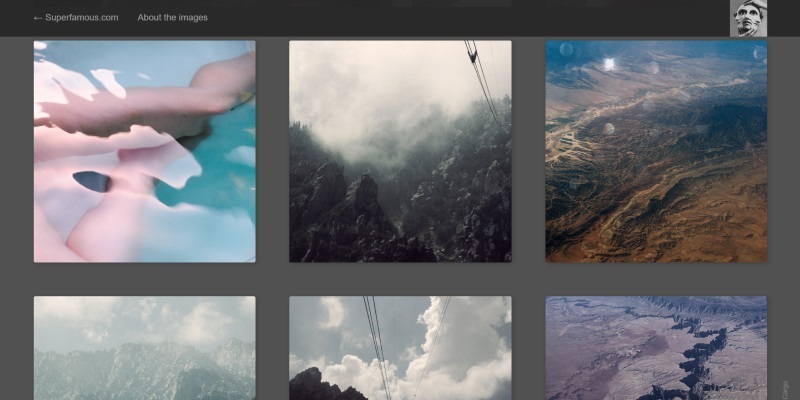 Unsplash has search capability. 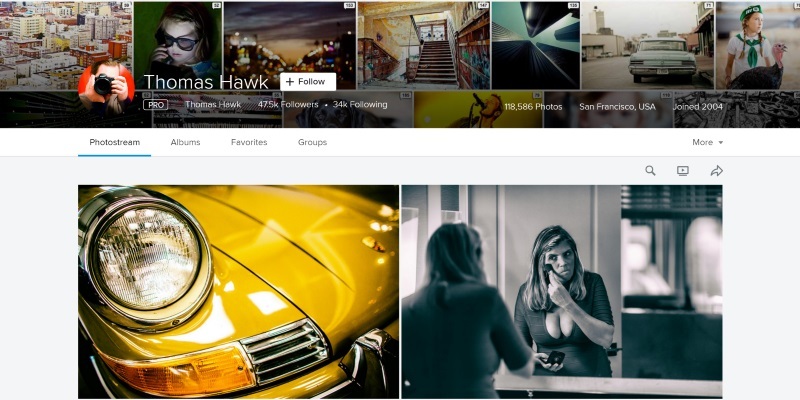 Streetwill contains high-resolution, high-quality photos from various contributors. All photos are free from copyright restrictions and the site has search capability. The site was created by Viktor Hanacek, a photographer and online entrepreneur from the Czech Republic. 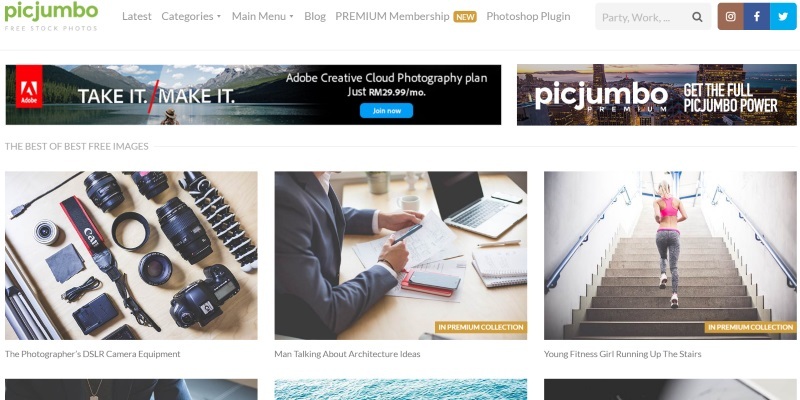 Picjumbo contains an enormous number of high-quality photos that are categorized and searchable. Photos are free of all copyright restrictions. 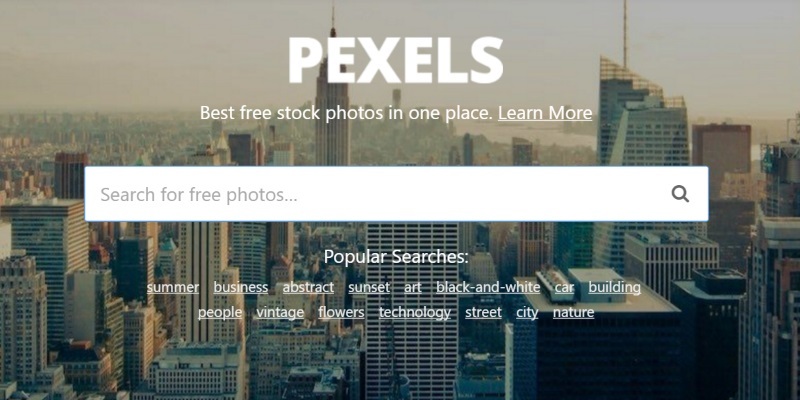 Pexels is run by Bruno Joseph, Ingo Joseph and Daniel Frese to help designers, writers, artists, programmers and other creators get free access to beautiful high-quality photos. All photos are tagged and searchable, and available without copyright restrictions. Attribution is not required. Recapturing history. 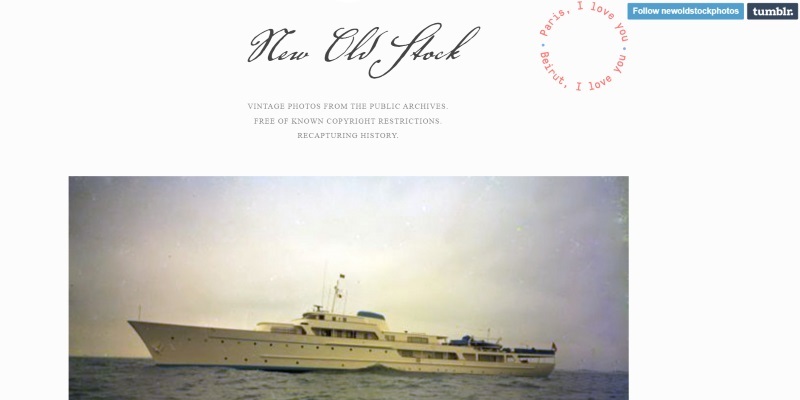 Vintage photos from the public archives and free of known copyright restrictions. Although without search capability, it is rewarding going through the photos individually available on New Old Stock. Thomas Hawk is a photographer who has over 110,000 images available to download on his Flickr page. Photos have been curated into albums. Although there isn’t a search function, there is a page containing all the photo tags. There are two main copyright restrictions on photos – they can only be used for private purposes (they cannot be used for commercial purposes), and attribution must be given by providing a link to the license, and indicate if changes were made. High-resolution photos to download and free of all copyright restrictions. To find photos use can either use the Search Box, click #Tag under the photo, or choose a Category to see the images you’re looking for. New photos are added daily to Kaboompics. Download beautiful high-resolution photos by Leeroy Advertising Agency in Montreal and their network of photographers. There are no copyright restrictions and photos are added weekly. Life of Pix has search capability. 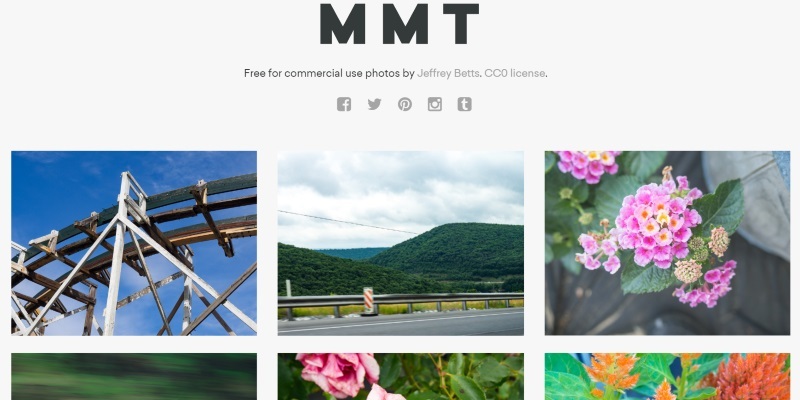 Minimography is a project from Lauren Mancke and Brian Gardner that enables you to download royalty-free minimalist photos for your personal or commercial projects. There are no copyright restrictions although an attribution link back to the site would be appreciated, but not required. The site has search capability. 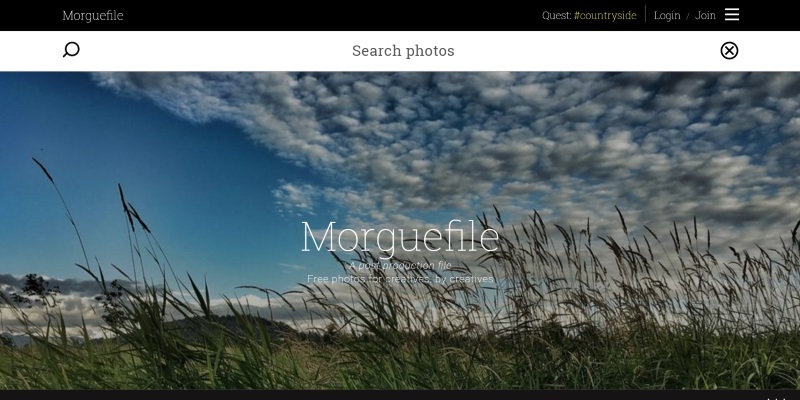 Founded by Michael Connors, Morguefile is a free photo archive “for creatives, by creatives.” Its large database of high-resolution photos is searchable and are available without copyright restrictions. 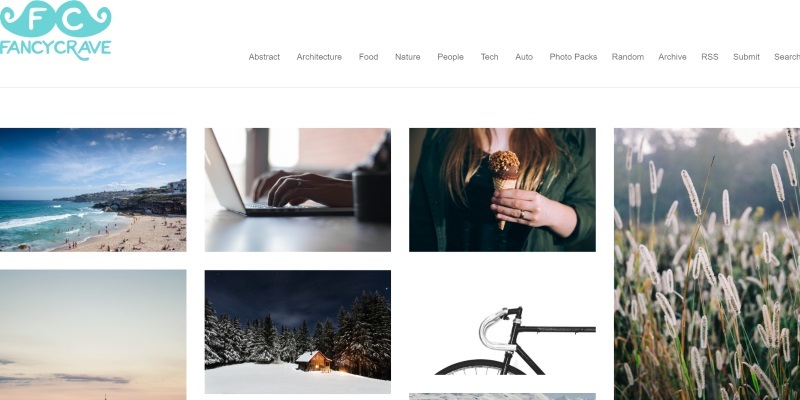 Created by Daniel Nanescu, SplitShire offers free high-resolution photos with no copyright restrictions. Photos have been categorized and can be searched by tag. The site was created by Ed Gregory who decided to give away his photos for free. You can either subscribe, and get 10 new high-resolution photos sent every 2 weeks, or search by category or search bar to choose photos. 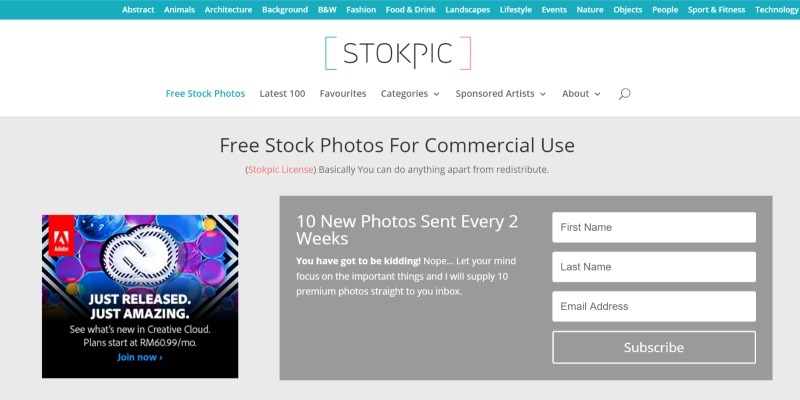 All photos on Stokpic are free from copyright restrictions – attribution is not required. 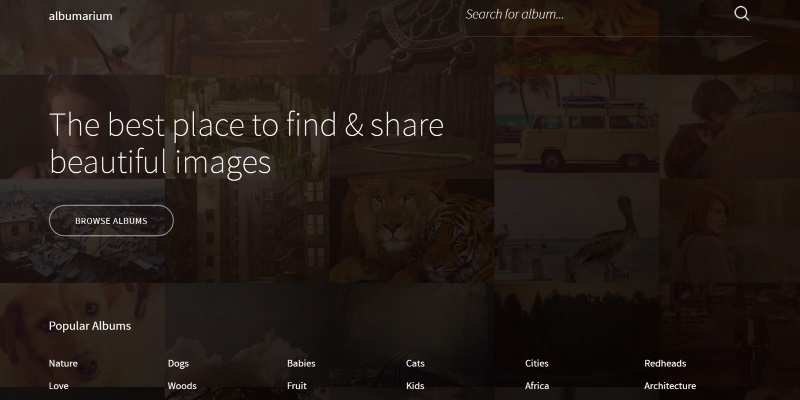 Unlike other free photo websites, photos are organized into albums. Searching for a photo is replaced by searching for an album which contains similar photos. Photos on Albumarium are free of copyright restrictions, but photo attribution is required. 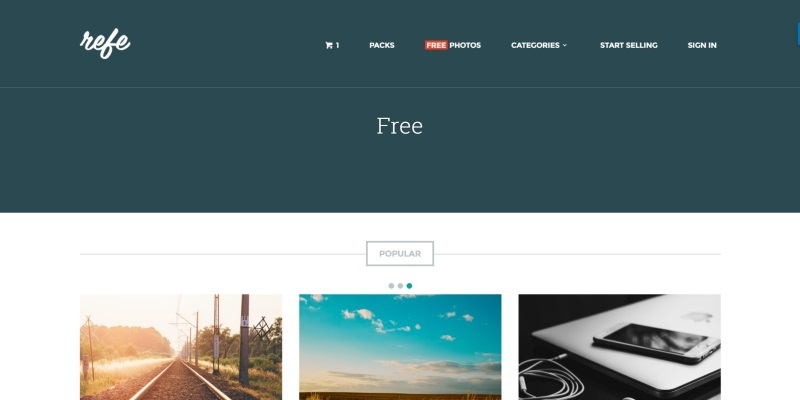 FancyCrave is a free stock photo site created by designer & photographer Igor Ovsyannykov in February 2015. 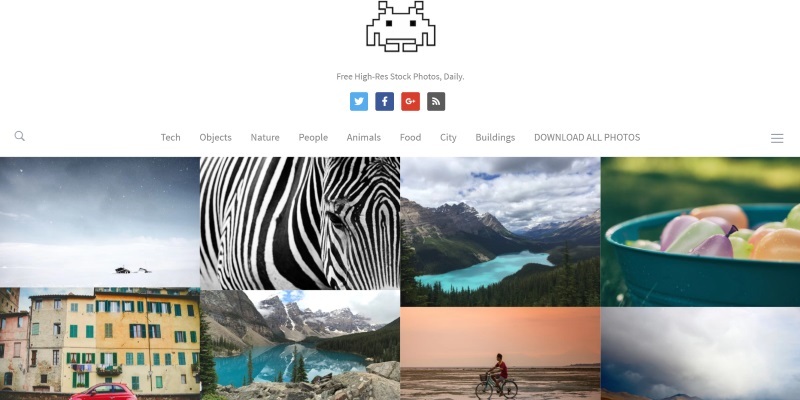 He publishes two high-resolution photos daily that are free of all copyright restrictions. The site has search capability. 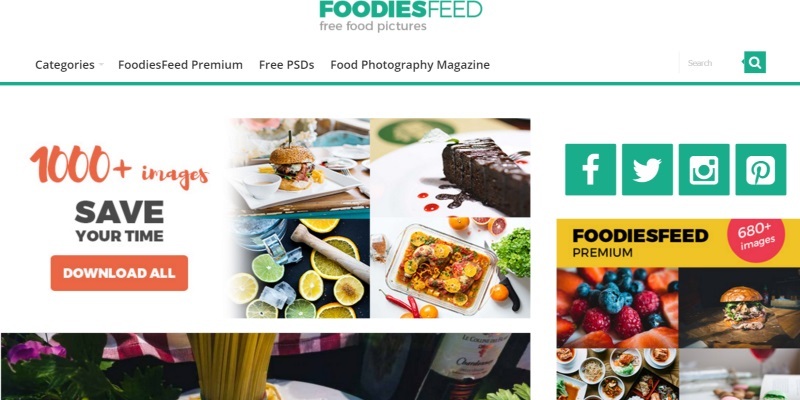 FoodiesFeed is a resource of free realistic food photos in high resolution and free digital goods related to food. Photos are free of all copyright restrictions and the site has search capability. 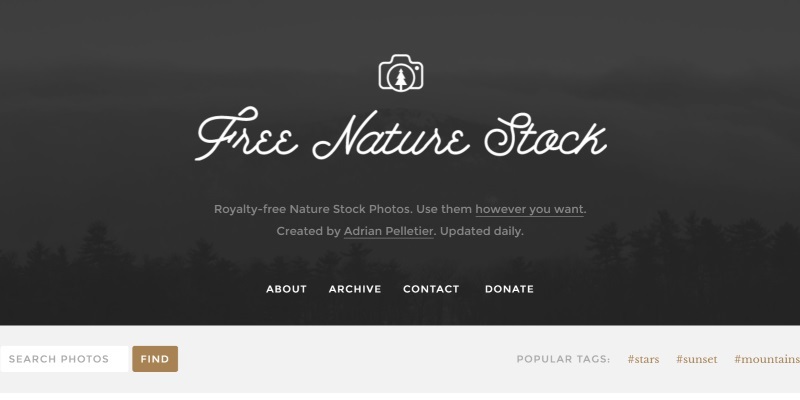 Free Nature Stock photos was created by Adrian Pelletier. All photos are free of restrictions to use as you want without or attribution. In short, do whatever you want. The site has search capability and is updated daily. Gratisography has free high-resolution pictures to download and use on personal and commercial projects. New pictures are added weekly by photographer Ryan McGuire and are free of all copyright restrictions. Photos have been categorized for convenience and the site has search capability. High resolution images by photographer Jay Mantri available to download free of all copyright restrictions. The site does not have a search function. Attribution is not required. 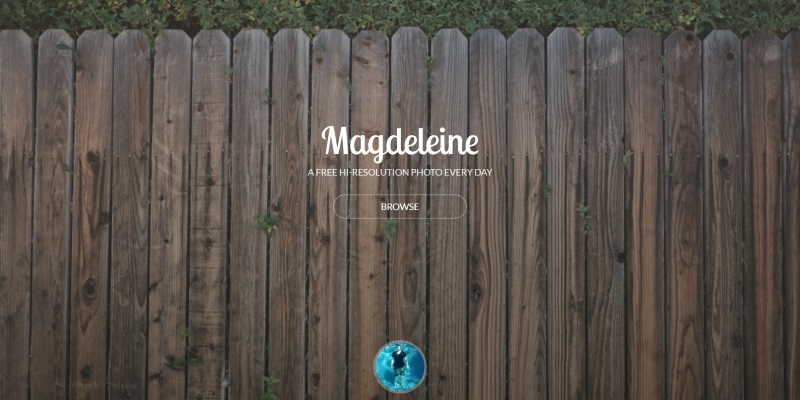 High-resolution photos are submitted and hand-picked by the team at Magdeleine for free download without copyright restrictions. Some photos do however require attribution. The site has search capability and photos are categorized. A new photo is added every day. Pikwizard has free high-resolution pictures to download and use on personal and commercial projects. 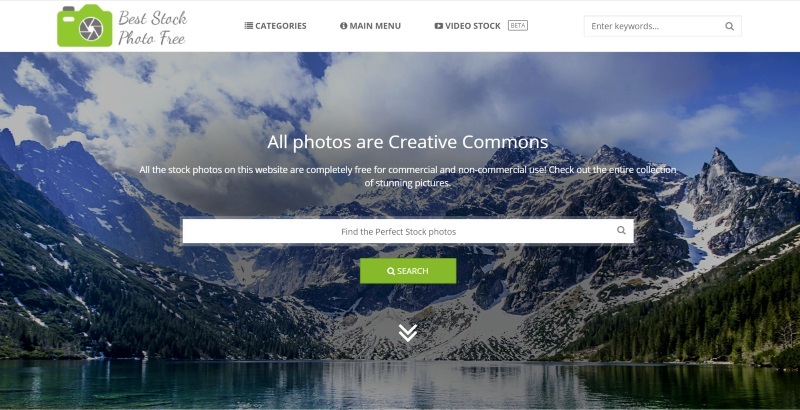 There are no copyright restrictions on photos and they can be used for any purpose. Attribution, although not necessary, is always appreciated by the photographer. Pikwizard has search capability with good tagging. Photos can either be downloaded or copy and paste the code to link directly to the photo. 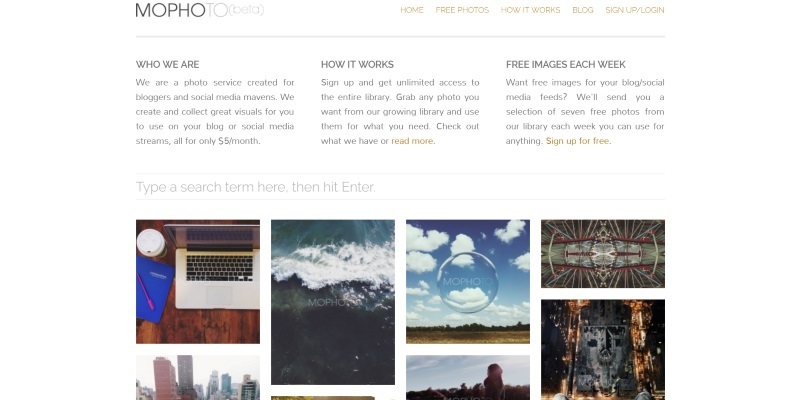 Mophoto is a subscription based service that also offers free images. If you sign up, you’ll receive a selection of seven free high-resolution photos each week that can be used in any way you want. The site has search capability and photos are without copyright restrictions. 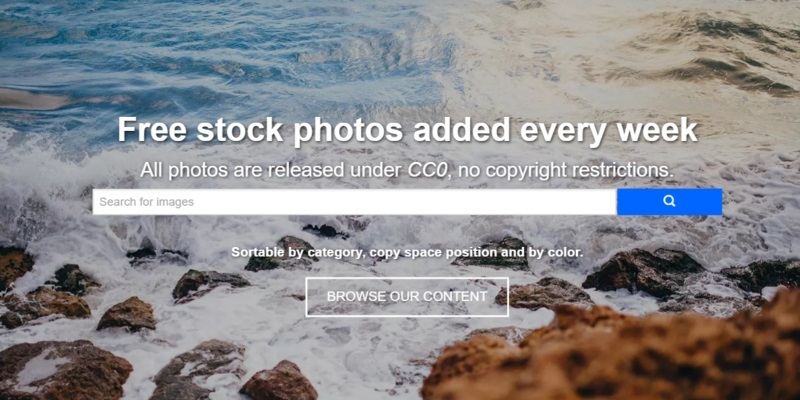 High-resolution copyright-free photos to download. 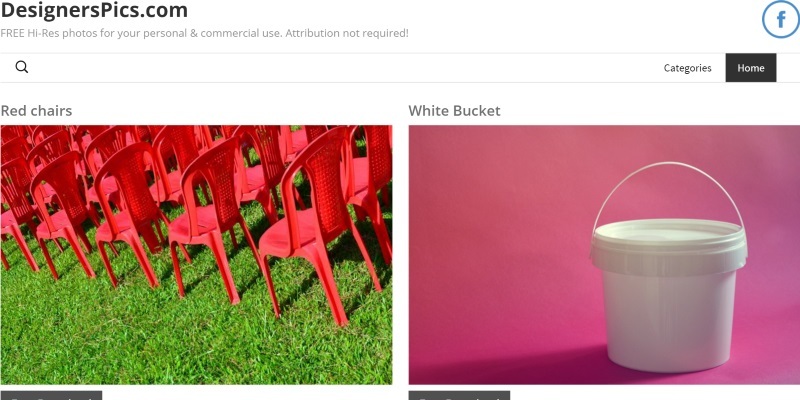 There are no copyright restrictions on photos and they can be used for any purpose without attribution. 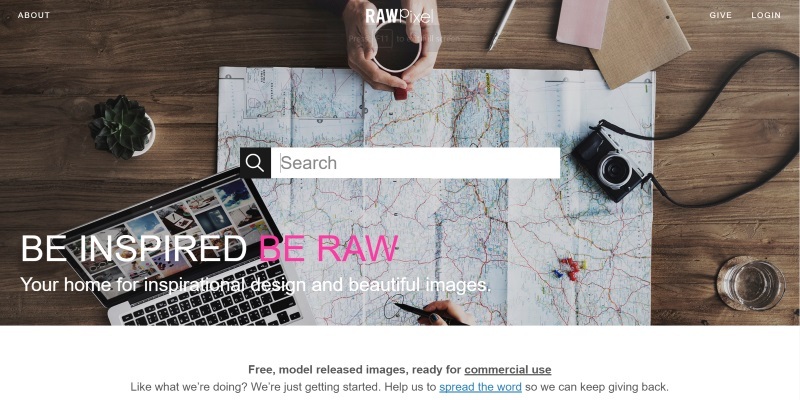 RAWPixel has search capability and login is required. Established in 2014, high-quality photos are uploaded daily. They can be found by browsing the categories or by search. Photos on the website are authentic and not from other sites. 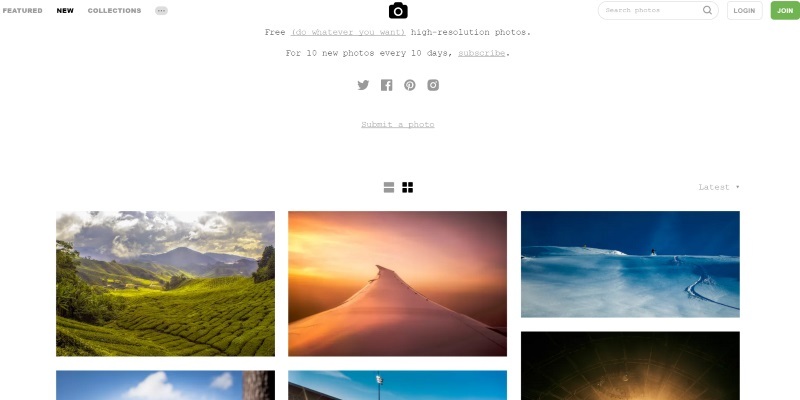 All photos were taken directly by Skitterphoto creators and users. Photos are free of all copyright restrictions. 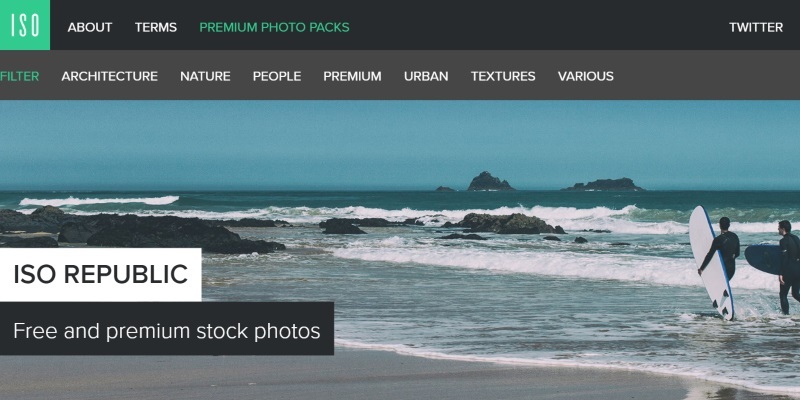 Bossfight aggregates photos daily from other popular free photo download sites that are free of restrictions. You can download photos individually, subscribe for free, or get a downloadable zip file of EVERY image once a month. The site has search and 8 photo categories. There are no restrictions and attribution is not required. 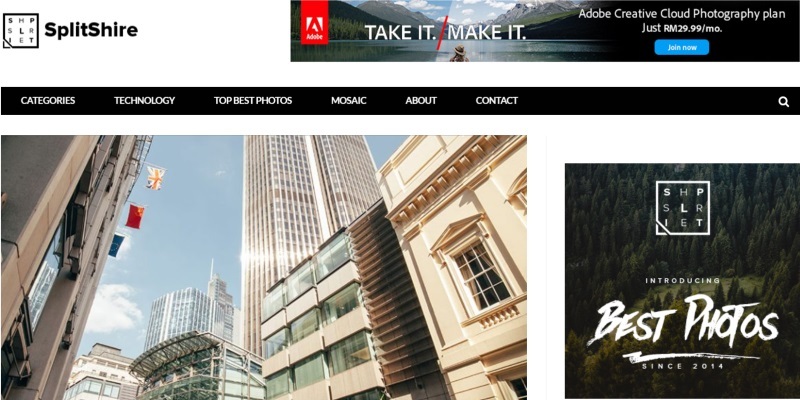 All photos have been captured by Jeshu John, web developer and designer, whose frustration with the lack of free quality photos available inspired the sites creation. Photos are uploaded daily and are without copyright restrictions (attribution would be appreciated but nor necessary). DesignersPics has search capability. Free high-quality stock photos for commercial and personal use. 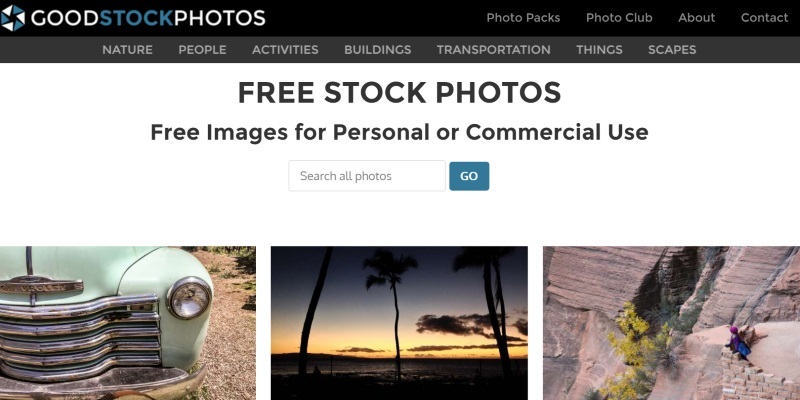 Photos are free of all copyright restrictions and Free JPG has search capability. 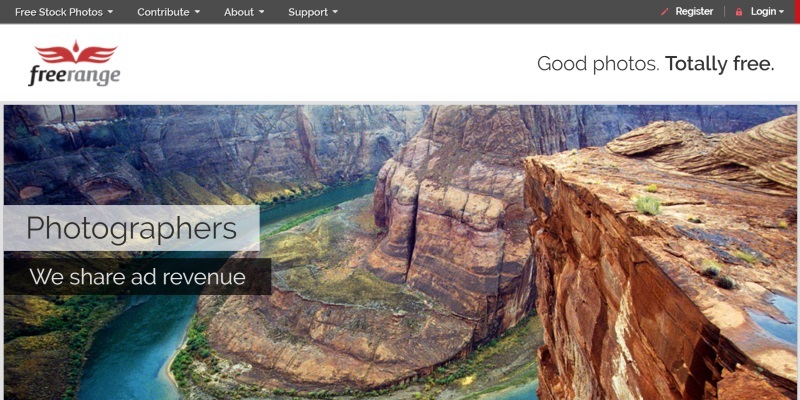 Good Stock Photos was created by Steven Ma, a web designer and online marketer. Photos are organized into collections as well as the site having a general search function. Every day a new photo is uploaded. All photos are high-resolution and free of all copyright restrictions. Pickup Image is one of the largest collections of free high-quality photographs. The site is searchable and photos are free of all copyright restrictions. 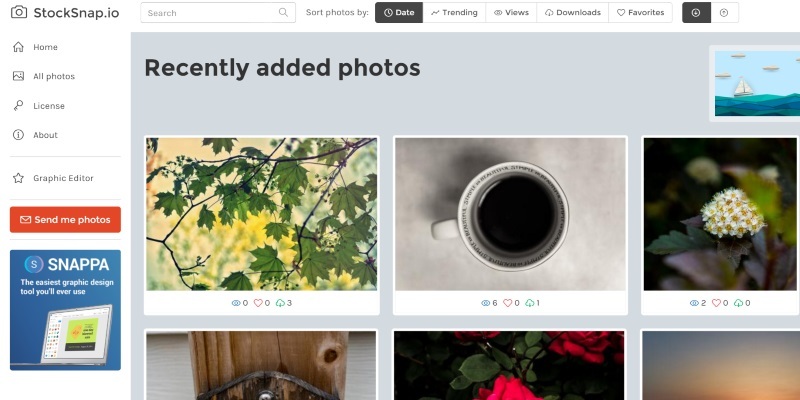 To download photos, you need to sign up to create a free account. A large collection of photos uploaded by contributors. 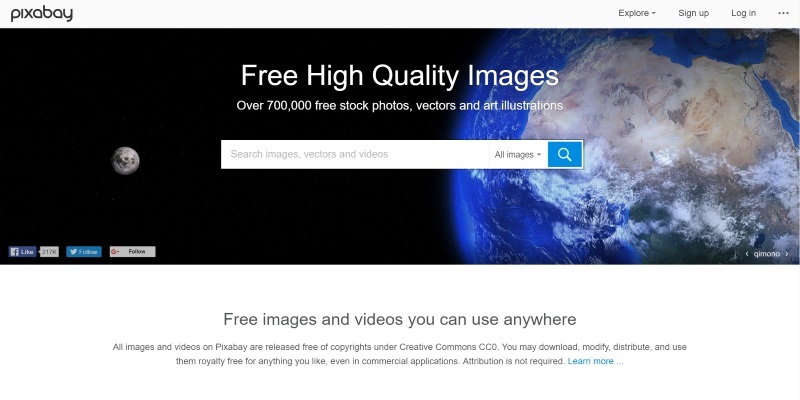 Pixabay is a comprehensive site that is searchable. Photos are free of all copyright restrictions. Hundreds of high-resolution images added weekly. All photos are free from copyright restrictions – no attribution required. StockSnap has search capability. 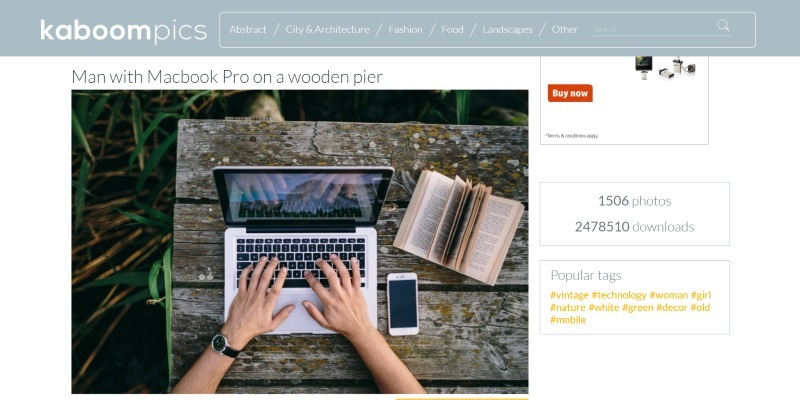 Founded by Sabrina Milazzo (photographer, designer, and blogger), the Light Painters Loft is a resource for high-quality free stock photos to download and do as you please. All photos are free of copyright restrictions – attribution is not required. Search either by using category or the search bar. 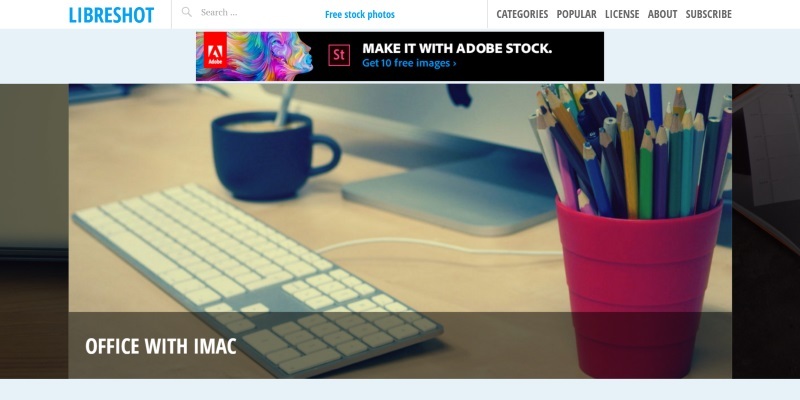 Best Stock Photo Free has a good selection of photos which can be found using search or from the curated 19 categories for photos. Registration to obtain a free account is necessary to download photos. Attribution is required for all photos and some are restricted to only non-commercial use. Photos on Cupcake are free of all restrictions which means you can use them any way you want. The site doesn’t have a search function. 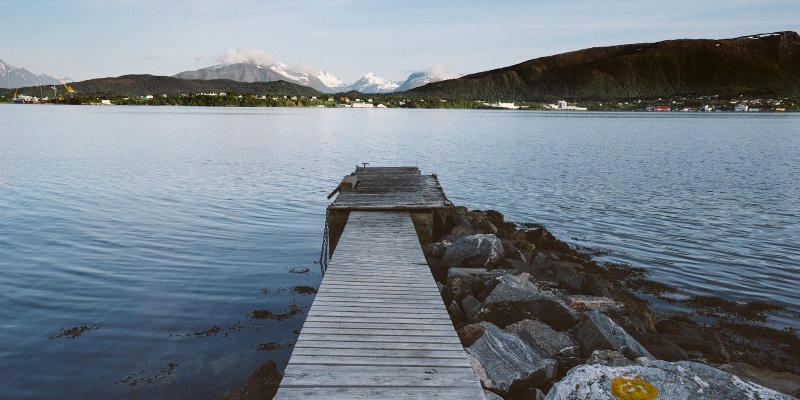 Although attribution is not required, Jonas Wimmerström, the photographer, would love to hear where his photos have ended up. 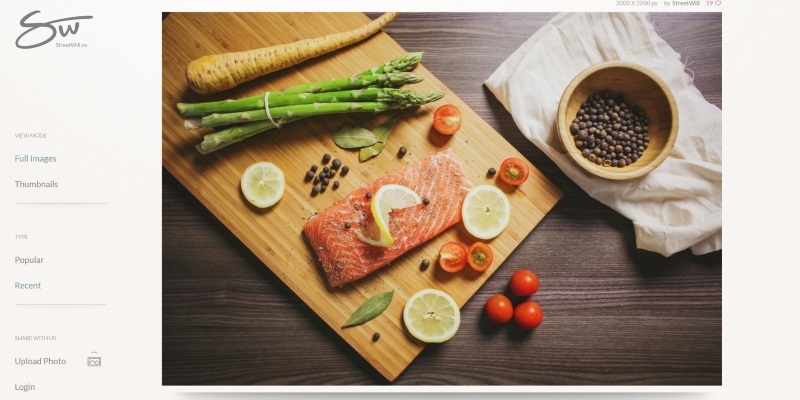 Freerange Stock was formed with the goal to provide free high-quality stock photos for commercial and non-commercial use. Free sign up is required to download photos and there are no restrictions. The site has search capability. 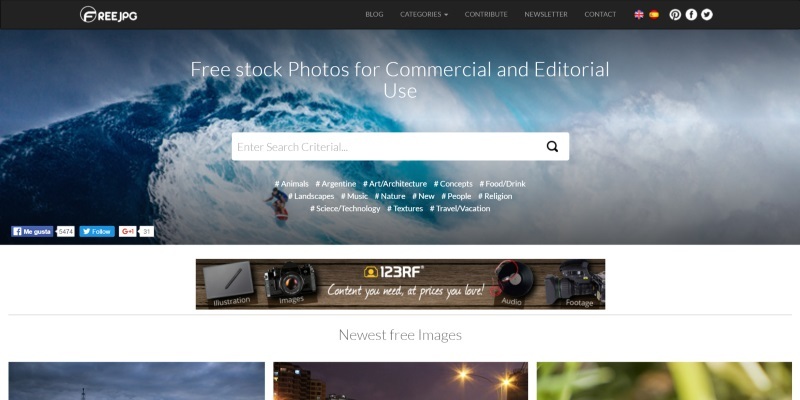 Getrefe has high-quality stock photos for commercial and personal use. Photos are free of all copyright restrictions and the site has search capability. Free sign up is required to download photos. This site showcases high-resolution photos by Jan Vašek (Czech Republic, Prague). Photos have been categorized as there is no search function. 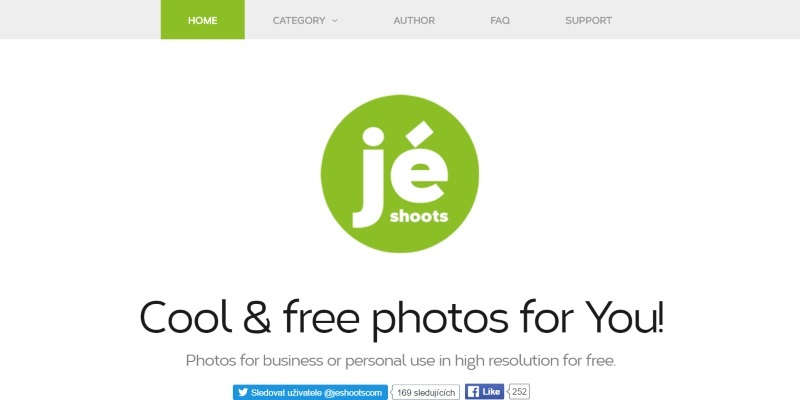 All photos on Jeshoots are available to download free of all restrictions. Photos are provided by AJ Montpetit to download and do as you please. There are no copyright restrictions. 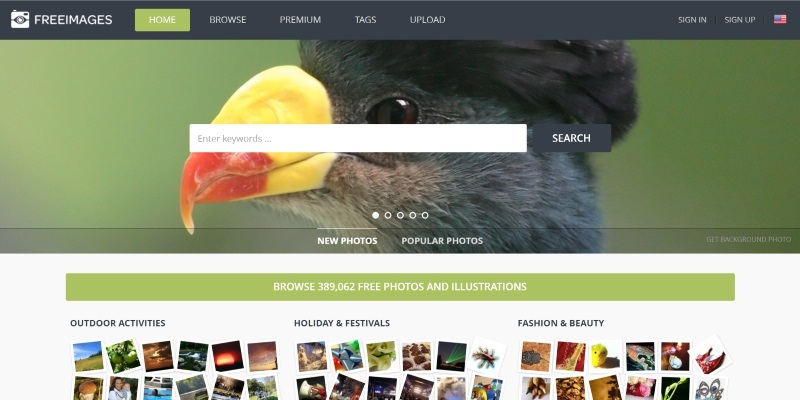 Lock & Stock Photos has a search function and photos are categorized. One of the largest collections of free high-quality photographs. RGBStock is searchable by tag or category and photos are free of all copyright restrictions. To download photos, you need to sign up to create a free account. All photos and images by Folkert Gorter. Photos are free of copyright restrictions, except attribution is required. Superfamous doesn’t have a search function. High-quality free photos in one place. 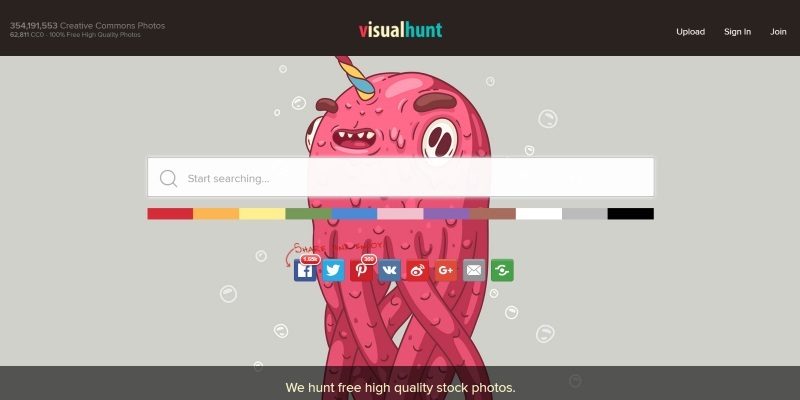 Visual Hunt curates the best free images from many online sources and pulls them together. Most of the photos are free from all copyright restrictions which means you need to check each photo for any restrictions they may have. The site has search capability and can be browsed by popular categories. 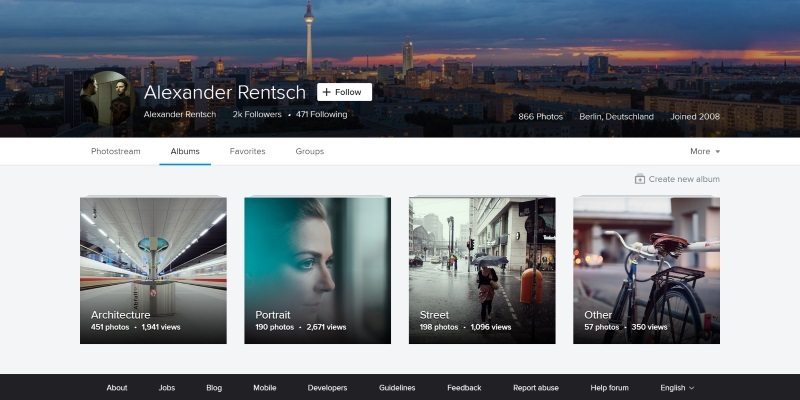 Alexander is a Berlin-based photographer who’s uploaded his portfolio to Flicker curated into 4 albums. There is no search function, other than album categorization. Login is not required. Photo attribution is required and photos can’t be used for commercial purposes. 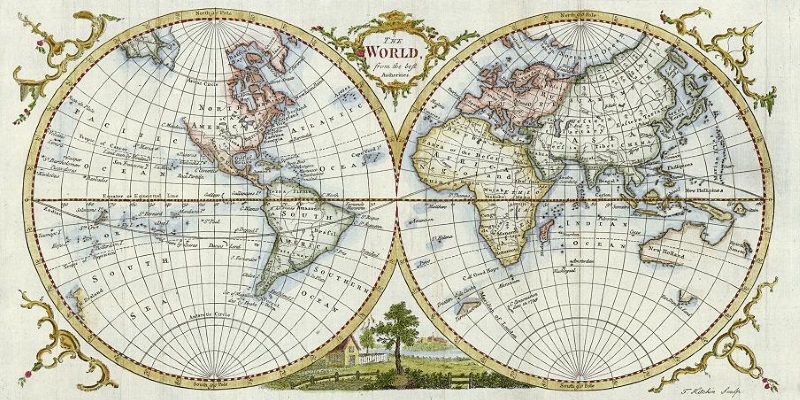 The site is a free image archive of historical prints and images dating from the 17th but mostly from the later 18th century and 19th century. Ancestry Images does have search capability. Attribution is not required and there are no copyright restrictions. 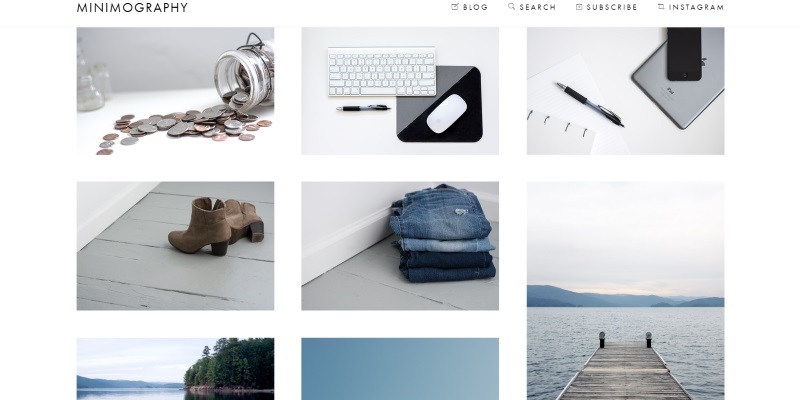 They describe themselves as a photo & inspiration haven for creatives. 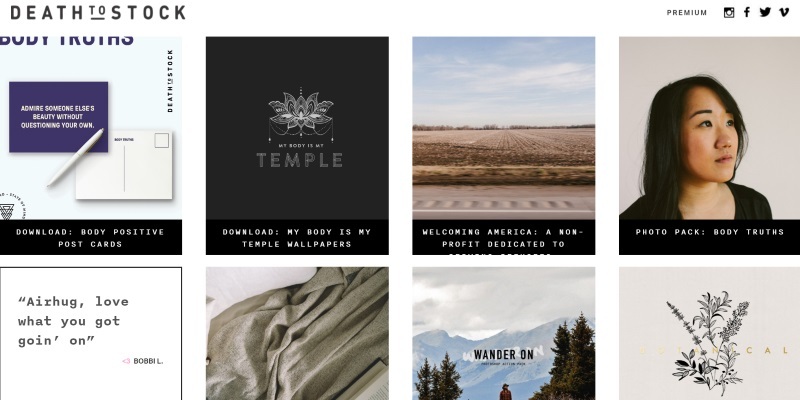 What they offer is an email subscription service that sends curated photo packs every month. The photos are free of all restrictions and can be used in any way you want. Death to the Stock Photo doesn’t have a search function. 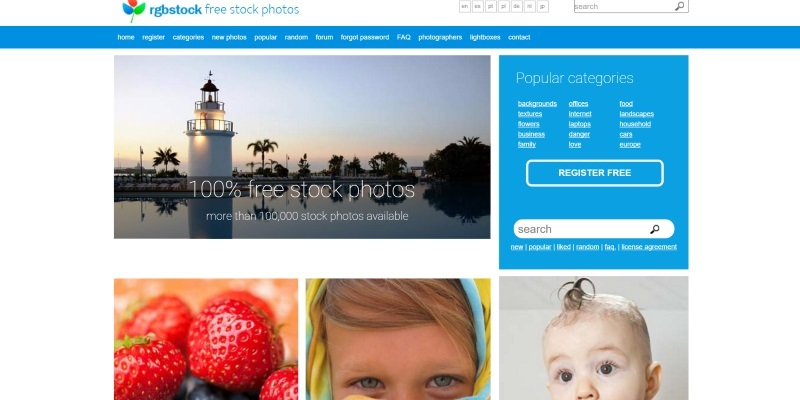 Free Images was launched in February 2001 as an alternative for expensive stock photography. 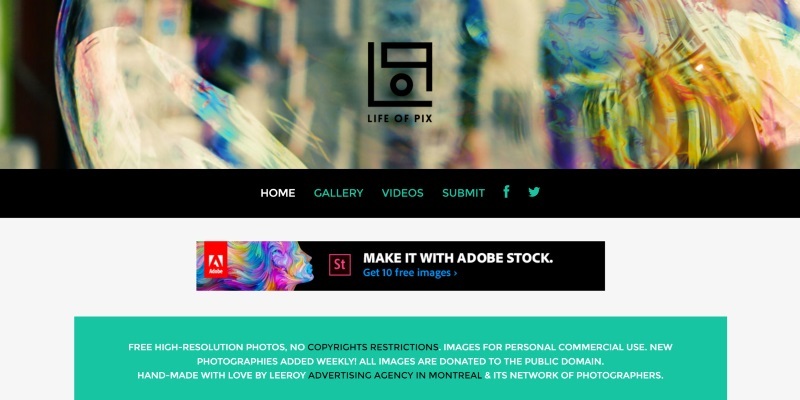 The idea was to create a site where creative people could exchange their photos for inspiration or work. 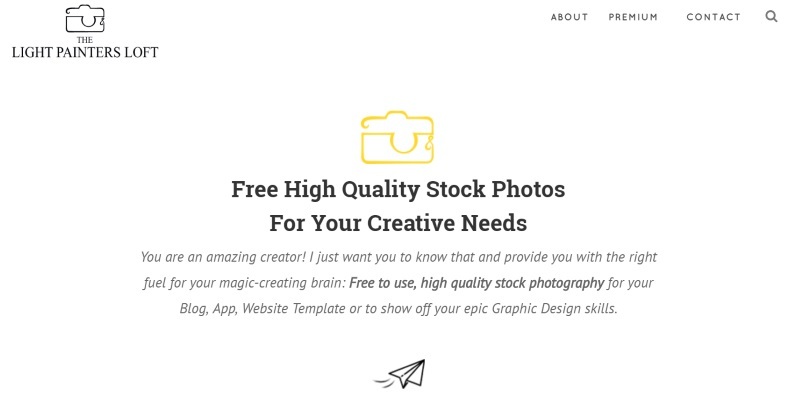 You need to sign up (for free) to gain access to hundreds of thousands of high-quality, hand-picked stock photos and graphics. Photos are free of all copyright restrictions and the site has search capability. 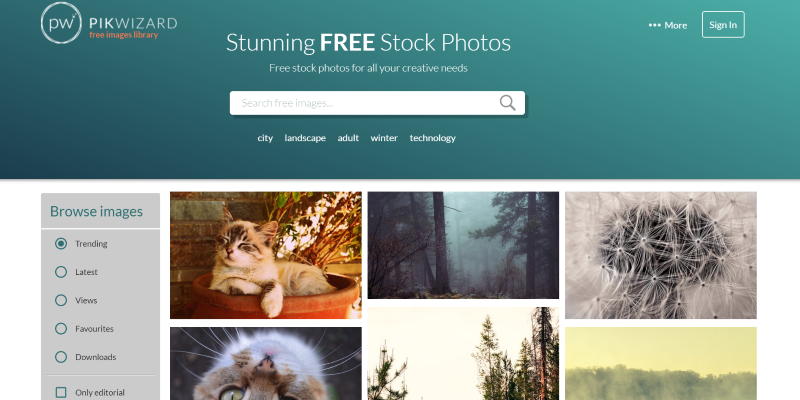 Good Free Photos has high-quality stock photos for commercial and personal use. Photos are free of all copyright restrictions and the site has search capability. 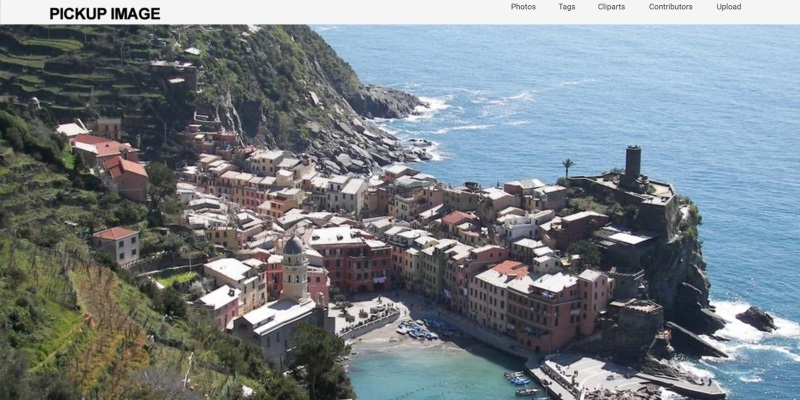 This site showcases high-resolution photos taken by Martin Vorel. Photos have been categorized and there is search capability. All photos on LibreShot are available to download free of copyright restrictions. Free photos are added weekly to Negative Space and all are released without copyright restrictions. 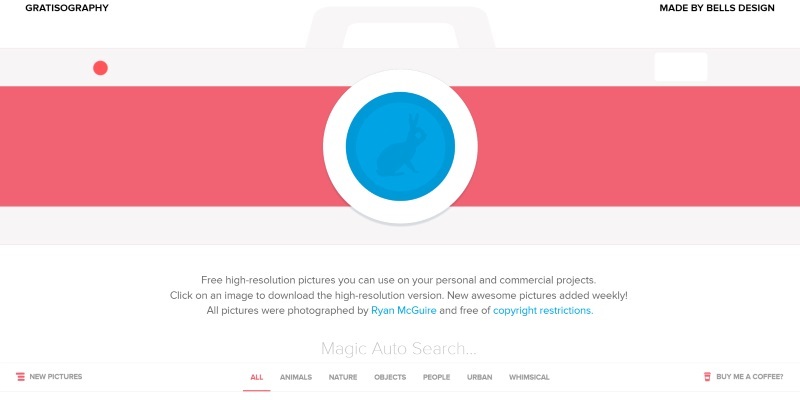 Photos can be searched by category or using the site search function. 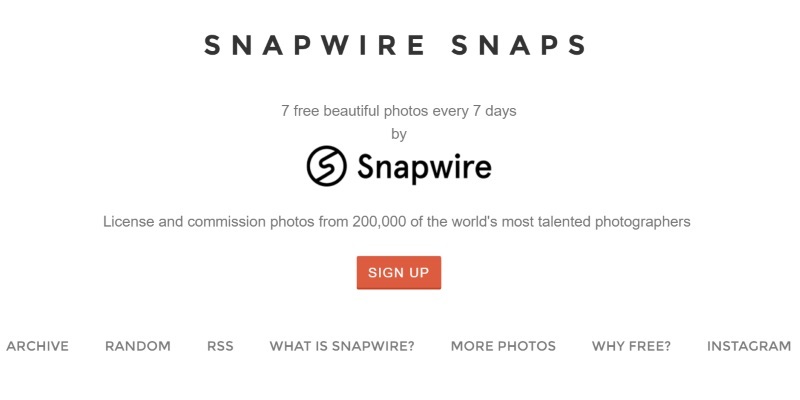 Every week, 7 free high-quality photos are uploaded to Snapwire Snaps to download and do as you please. Photos are free of all copyright restrictions and the site has search capability. 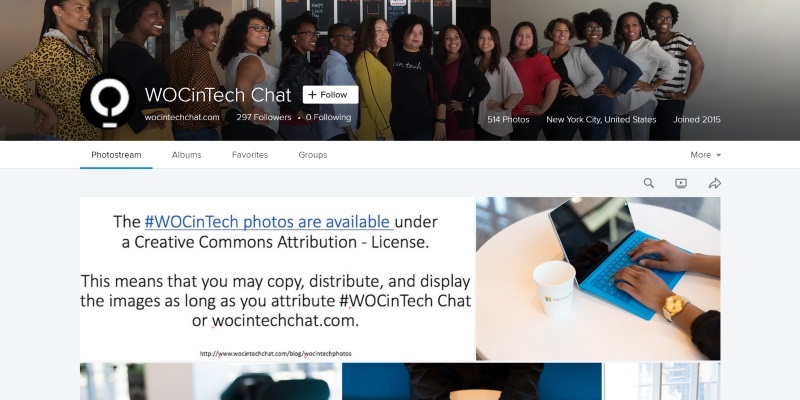 The Founders of WOCinTech Chat are both professionals in the tech industry and women of color from New York City. One of their initiatives is 500+ images available to download on their Flickr page. Photos have been curated into 3 albums. Although there isn’t a search function, there is a page containing all the photo tags. There’s only one main copyright restrictions on photos and that is attribution must be given by providing a link to the license, and indicate if changes were made. 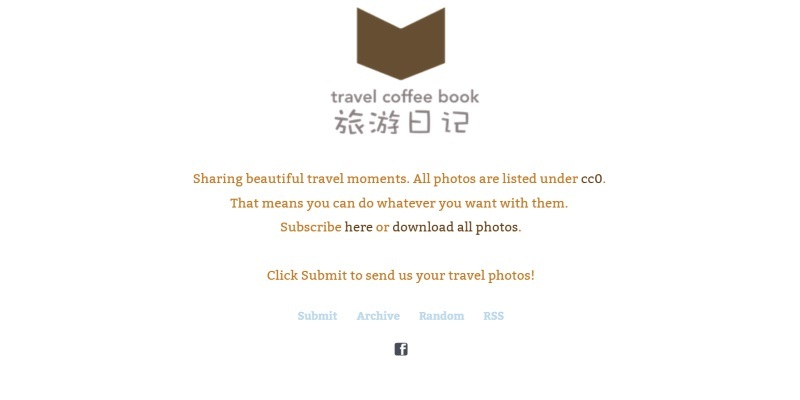 Over 2800+ travel photos categorized by country. 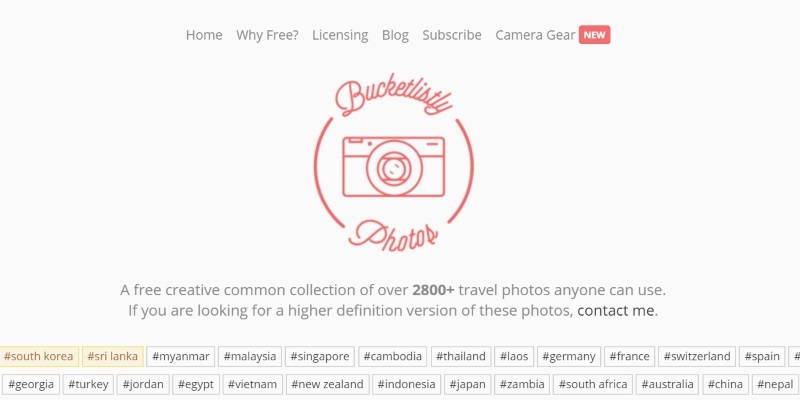 There is no search function on Bucketlistly other than country categories, and photos are free of all restrictions. A free curated collection of photos and images for private and commercial use. Photo attribution is required but otherwise is free of all copyright restrictions. 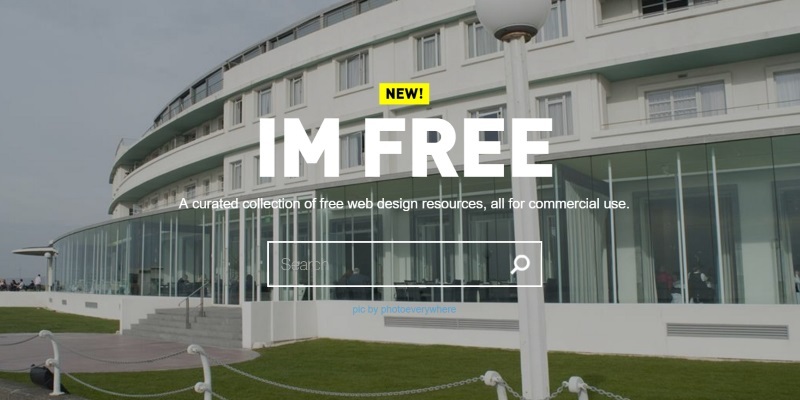 IM Free has search capability. 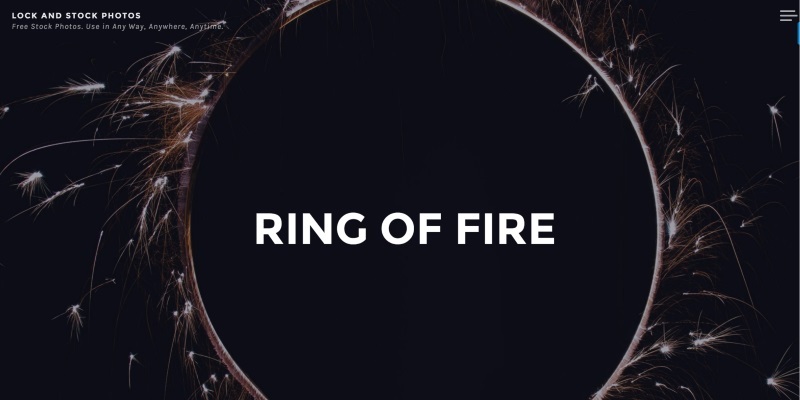 ISO Republic was founded in October 2014 by Tom Eversley, a designer, and photographer from England. All images are high-resolution and free to download for commercial and personal creative projects. Photo attribution is not required (but would be appreciated). The site is searchable and photos are free of all copyright restrictions. High-resolution photos by Jeffrey Betts to download and free of all copyright restrictions. MMT has search capability. This is a journey of João Pacheco, a designer born and raised in Portugal that decided every photo should be used for free. 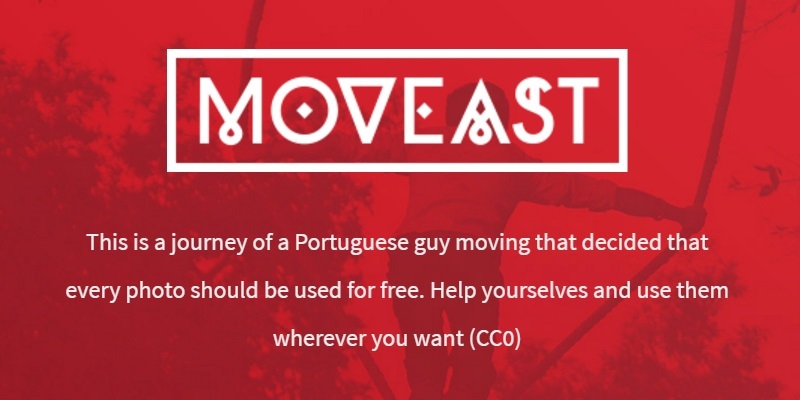 The high-quality travel photos from Asia can be found by searching Moveast and are available without copyright restrictions. High-quality photos that have been categorized into photo sets and image categories to download for free. Raumrot doesn’t have a search function. Photos are free of all copyright restrictions, except attribution must be given. 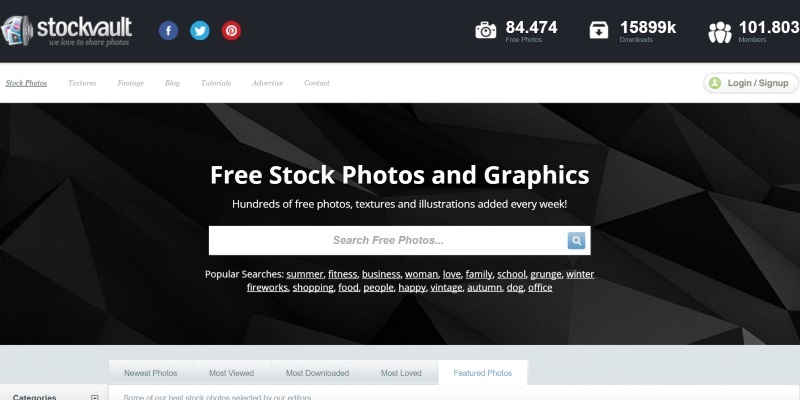 StockVault is a large photo sharing website used by photographers and designers to showcase and share their work. All photos are free from copyright restrictions and the site has search capability. A large collection of travel photos from different destinations. Photos are free from all copyright restrictions. Travel Coffee Book doesn’t have search capability. The photos on this site are available to be downloaded for free and used for private and commercial projects. 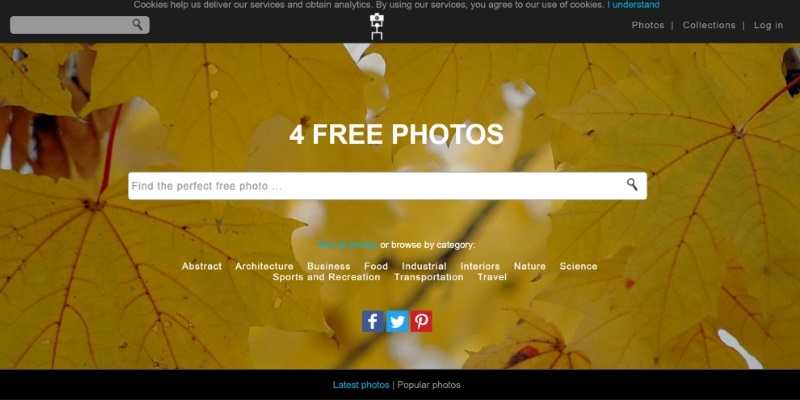 There are no copyright restrictions on 4 Free Photos. The site has search capability. Photo attribution back to the website is required. This is an excellent resource; thank you so much for sharing! What a great resource! Thanks for your generosity in sharing this information. Thank you so much for this list!!! I’m sure to get lost for hours. Mark, thank you for compiling this photo list. And for taking the time to compile the information into PDF format. Thanks Monika. I’ll add your site to this post when I do the next update. As with all updates, it will be included in the PDF download. Thank you so very, very much for this! I’ll share and like the heck out of this article now!